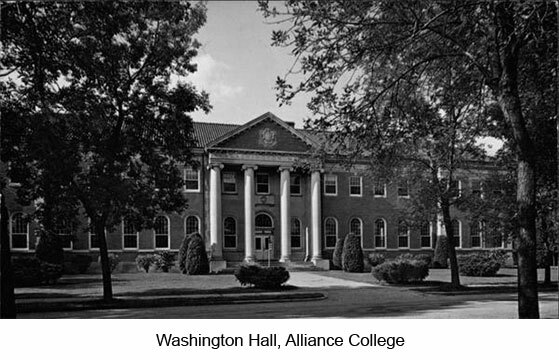 Alliance College, founded by the Polish National Alliance (PNA) in 1912 "to provide opportunities for Americans of Polish descent to learn about the mother country, its culture, history, and language," closed in 1987. From 1948 until its closing, the college was an accredited four-year co-educational liberal arts institution. Student matriculation peaked at 629 in 1968. Called "a great masterpiece of the Polish immigration," the college did not just provide its students a college education and book learning about their heritage. Through such extra-curricular activities as the Kujawiaki folk dance ensemble and various exchange programs with Jagiellonian University in Cracow, students and faculty were able to participate in the culture of their heritage first-hand. The Polish collection in the library was an integral part of this educational experience. By the time of the college's closing the Polish collection had grown to approximately 35,000 cataloged and 15,000 uncataloged volumes. The material is primarily in Polish, and is particularly strong in Polish language and literature, history, and the Polish experience in the United States. Also included are such additional subject areas as Polish music, art, folklore, science, economics, sociology, government, and foreign relations. The current collection represents acquisitions since the time of the disastrous fire of 1931, which destroyed both the college and its library. Periodically evaluated by librarians and scholars from Poland, it was developed systematically using both purchase and exchange. It was also the recipient of various grants and a substantial number of gifts from Polish Americans. The collection contains a number of noteworthy items and sub- collections. Included, for example, are complete runs on microfilm of the weeklies "Tygodnik ilustrowany" (Warsaw, 1859-1939) and "Zycie" (Warsaw, 1887-1890) as well as the monthly "Zycie" (Cracow, 1897-1900).. It also contains a significant percentage of world Polonian publishing output from the nineteenth century to 1985, including books, newspapers and other serials, pamphlets, and ephemera. A 176-volume collection of clippings from U.S. Polonia publications gathered by Pawel Widera represents a unique resource on the subjects of Polonia in general, Polonian organizations, and Polish affairs affecting Polonia. (Pitt continues to collect Polonica actively.) The reference collection is also well-developed, including not only such essential standard works as those of Karol Jozef Teofil Estreicher (the “Father of Polish bibliography”), whose Bibliografia Polska is called the "most outstanding bibliography of Polish books, and probably one of the most famous bibliographies in the world". Rena Lamparska, the librarian at the time, described the collection in 1973 as capable of supporting master's level work in Polish language, literature, and history. Exchanges had been greatly expanded the previous year, and in 1973 the Polish collection received a grant from the United States Office of Education, allowing an increase in purchases. Thus by the time the college closed, the Polish collection was nearly capable of supporting doctoral-level research in these areas—which, in conjunction with the University of Pittsburgh’s own growing collection of Polonica, it now is. Why the University of Pittsburgh? 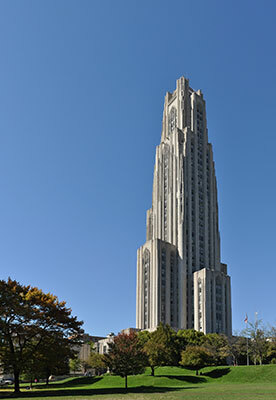 "Pitt was chosen as the recipient of the collection because of its reputation as a leader in the teaching and fostering of the Polish language, literature and culture, which can also make the collection available to international scholars. Further, the Pittsburgh area has a large, active Polish community which will benefit from the collection being so easily accessible. The sentimental attachment of Alliance College to Western Pennsylvania was also considered in the decision-making process by the Polish National Alliance and the Board of Trustees." 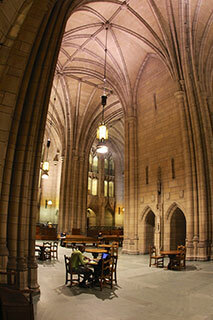 The University of Pittsburgh has a longstanding commitment to the area of East European studies. The Department of Slavic Languages and Literatures offers a B.A. in Polish studies, in addition to graduate degrees (M.A. and Ph.D.). Other academic departments, as well as the Graduate School of Public and International Affairs and the School of Education also prepare M.A. and Ph.D. students whose research concentrates on Poland and who use material in Polish. Pitt's commitment to Polish studies means that high priority is given to language instruction. The head of the Polish program, Oscar Swan, is a specialist in Polish linguistics and a recognized leader in the field of Polish language instruction. His textbooks are used in Polish classes throughout the United States and in several foreign countries. Pitt offers three years of Polish in regular classes and additional advanced instruction on a tutorial basis. The University also gives intensive Polish instruction during the summer. Presently Pitt has numerous faculty members whose research and teaching focus on the former Soviet Union and Eastern Europe. Current enrollment in courses related to the area exceeds 3000 students annually. In addition to language instruction, Pitt also offers other courses devoted specifically to Poland, e.g., Polish Language, Literature, and Culture (Oscar Swan) and Polish History (Gregor Thum). Many related courses include Poland or Polish, e.g., West Slavic Linguistics (Martin Votruba). The University's Center for Russian and East European Studies is one of the few such university interdisciplinary bodies selected by the U.S. Department of Education as a National Resource Center. Are you are looking for a particular author, title, or subject? Check PITTCat+. Thousands of Alliance books and other material from and about Poland are already in the Hillman Library stacks. If you do not find what you are looking for, see final item below. Would you like simply to get an idea what is in the collection? You can find a list of all the Alliance books and journals cataloged to date by doing the following in PITTCat Classic: From the PITTCat+ main page, choose "Search/Location Limits". From the "Search/Location Limits" page, choose "Polish National Alliance Collection" from the drop down "Location Menu". Click OK. Next, choose "Guided Keyword" as your search type. On the "Guided Keyword" page enter the term "polish", then click Search. Do you want to see part of the collection? For the benefit of researchers we have not separated Alliance material from the rest of our Polish collection. The greatest concentration of Alliance books will be found in the Hillman Library stacks, on the 4th floor in the call number range PG6000-PG7904 (Polish language and literature), and on the 3rd floor in DK4000- DK5706 (history of Poland). Some older books on the history of Poland can be found nearby in DK400-DK449. You might also like to look at the huge, ongoing biographical dictionary Polski slownik biograficzny in the Reference Collection on the ground floor at CT1230.P65 1935. For research assistance, contact Dan Pennell, Slavic Bibliographer at 412-648-7791, pennell@pitt.edu, or through the Information Desk at Hillman Library. For additional information about the collection, to donate books, or to contribute money to assist with cataloging, contact Dan Pennell or inquire at the Information Desk.